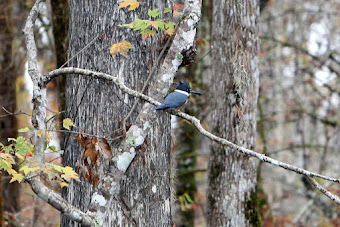 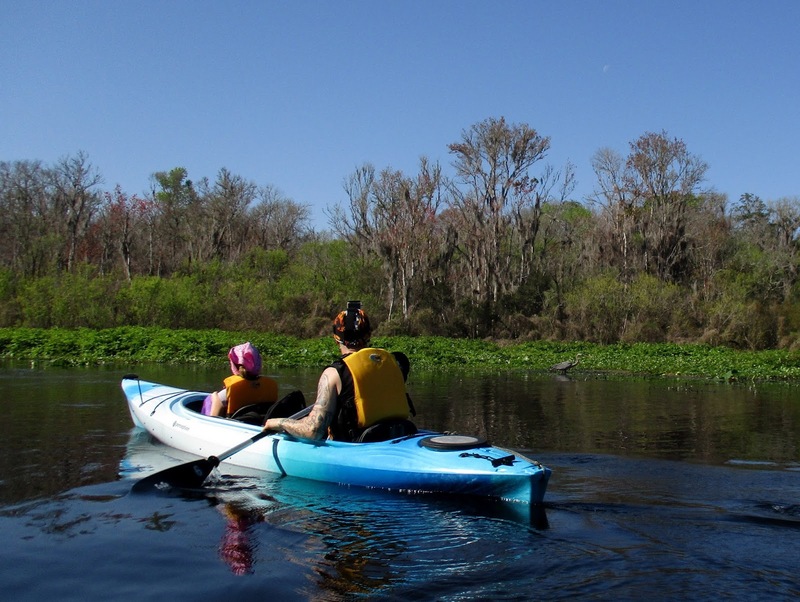 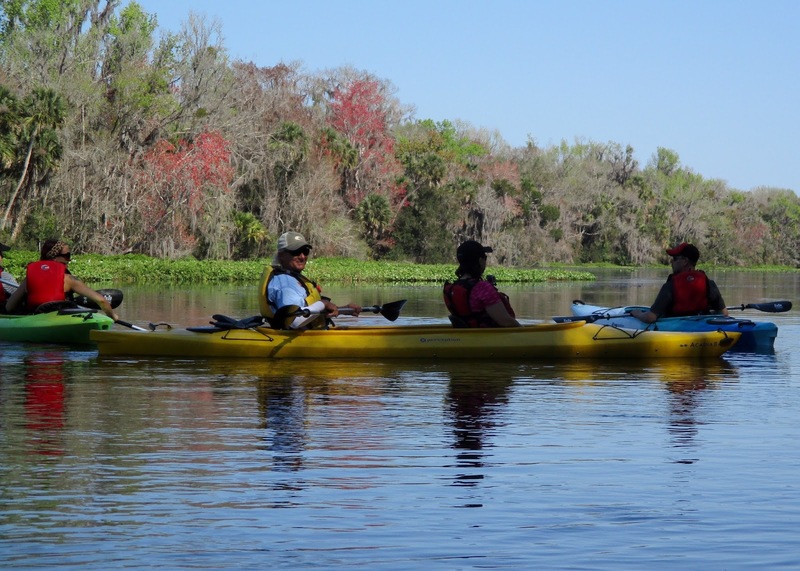 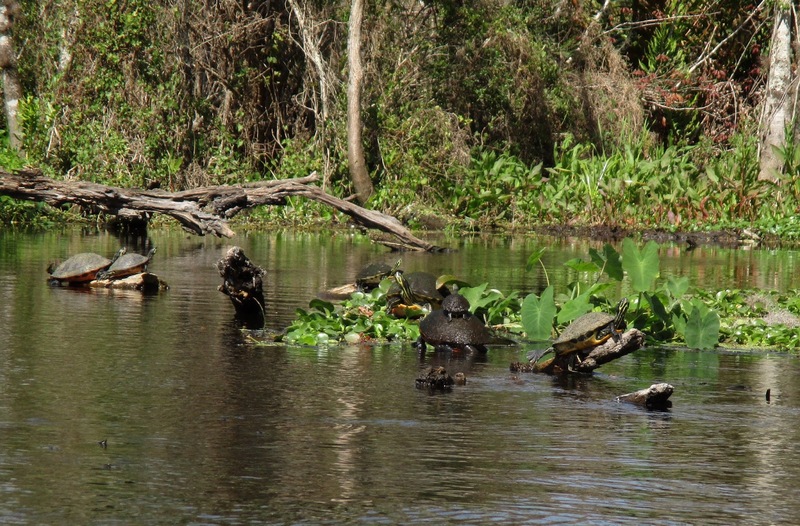 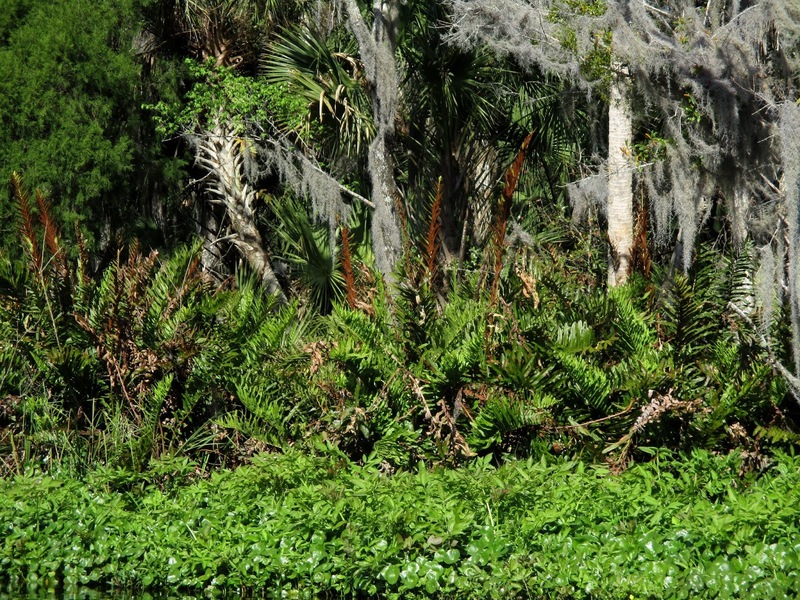 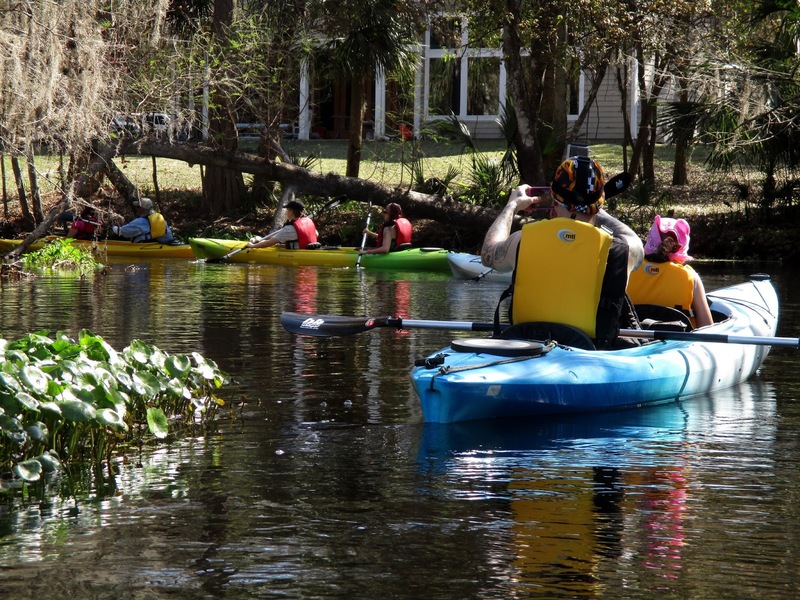 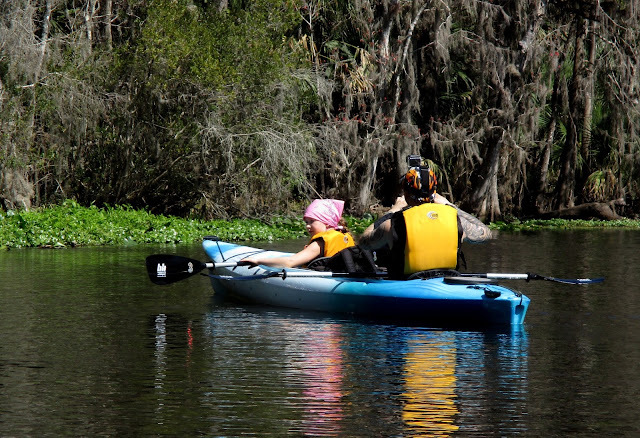 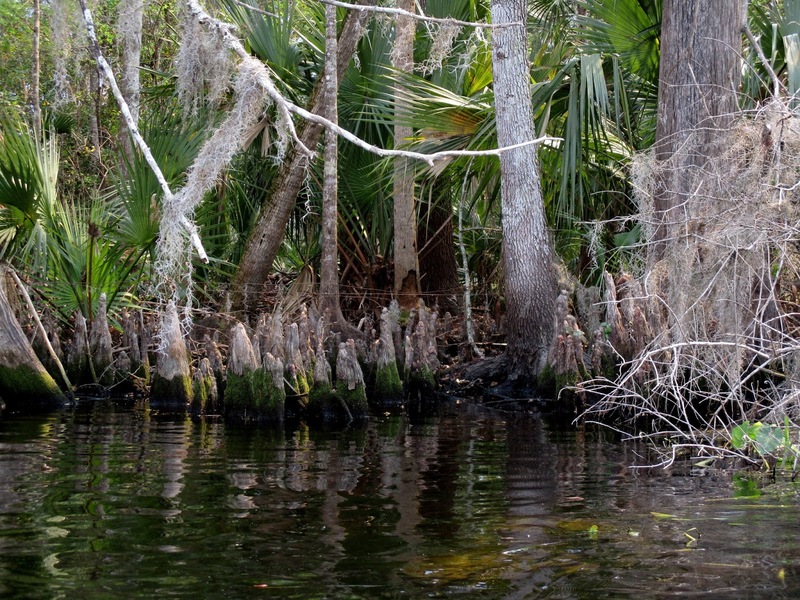 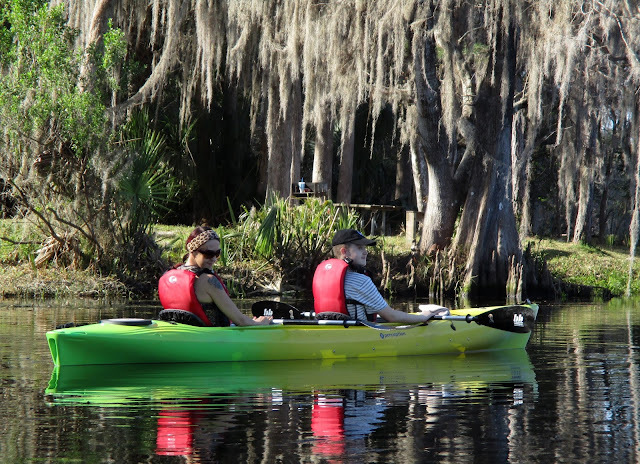 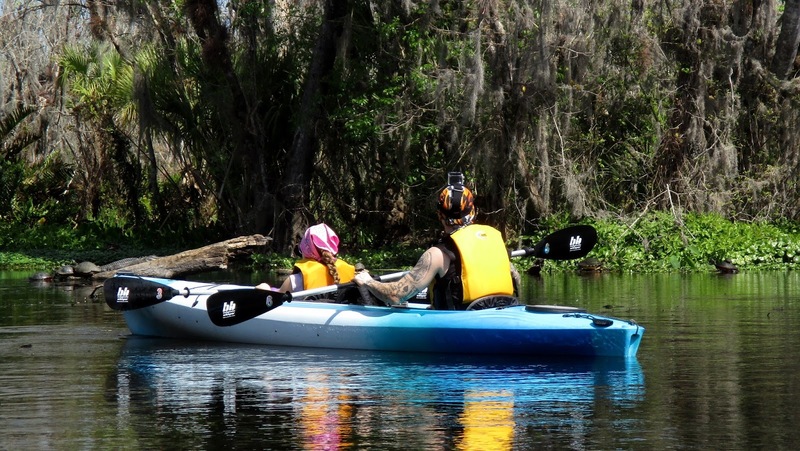 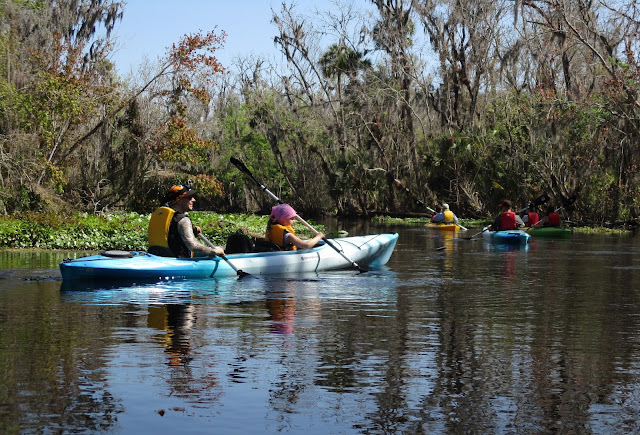 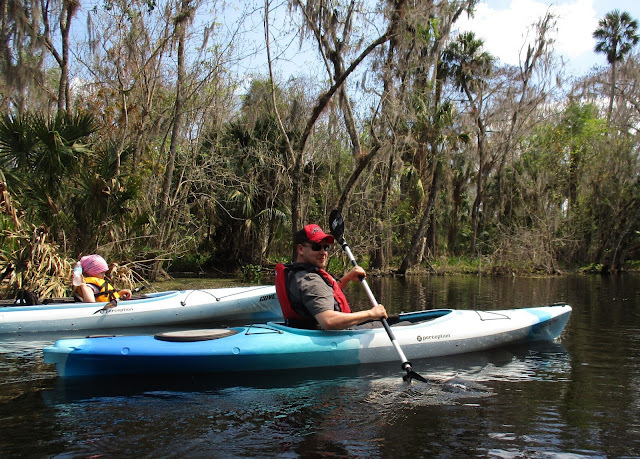 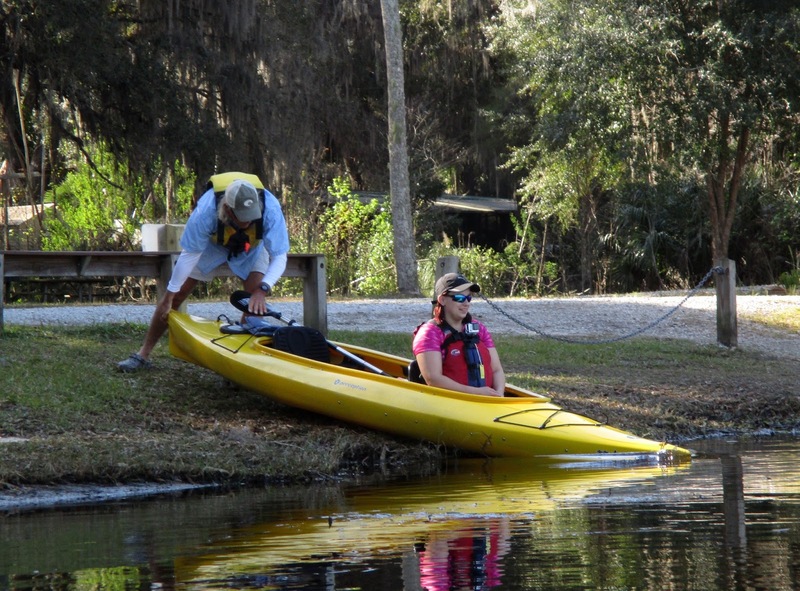 Orlando Kayaking Tours - Katie's Wekiva River Landing 352-589-7899: The Wekiva is popping with Spring colors! 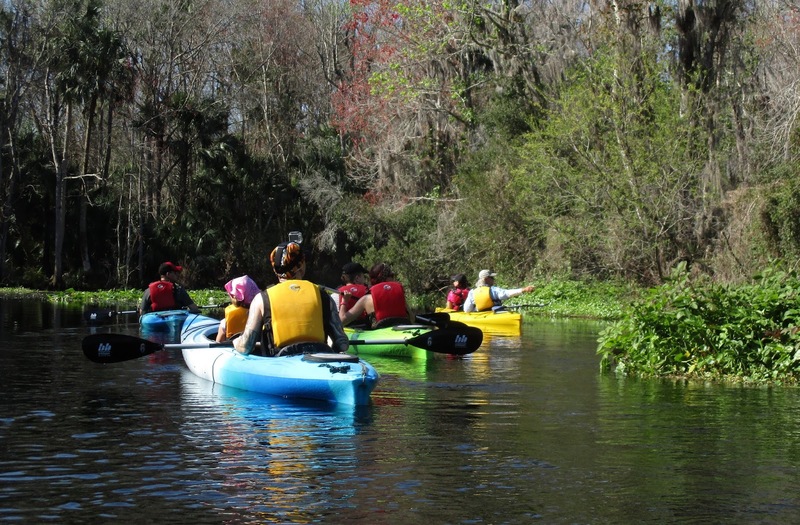 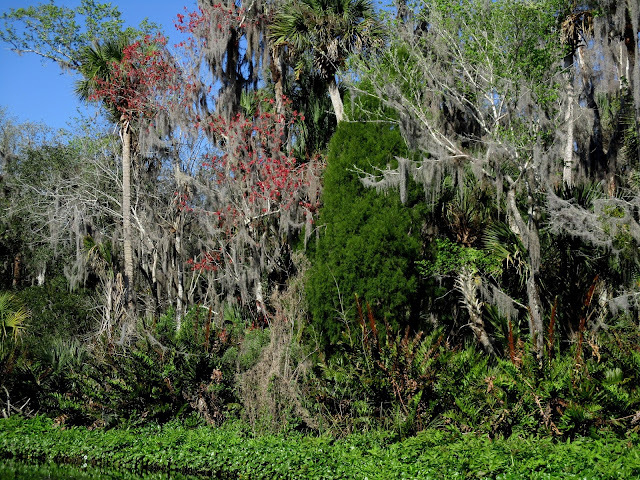 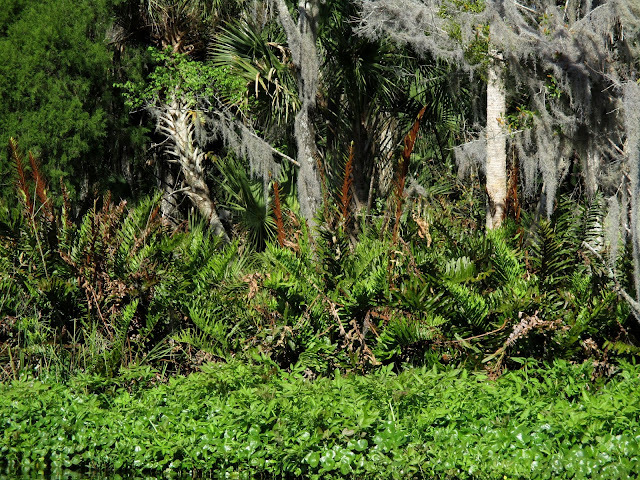 The Wekiva is popping with Spring colors! 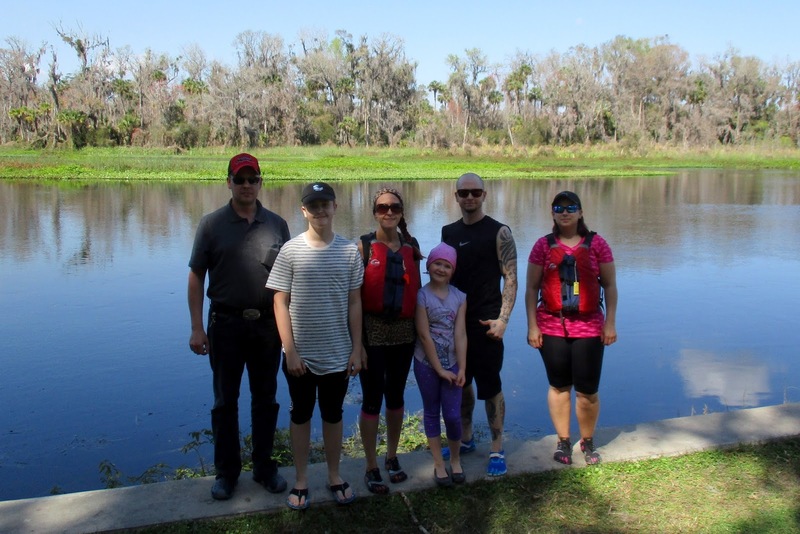 This morning we got to paddle with our friends from Finland Teemu, Tea and Family and Alligators and Turtles were the theme of the day. The Great Blue Herons are building nests now and some even have babies already. 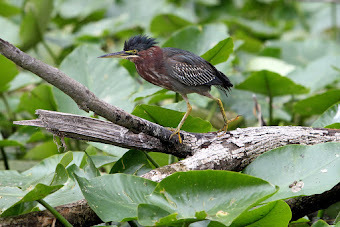 Green, Tri-colored and Little Blue Herons were out foraging for food and the Great Egrets are wearing their breeding skirts. 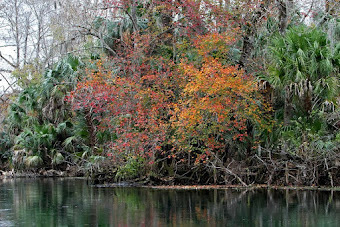 The Wekiva River is showing off her colors as the Maple Trees have their red seeds going, the Swamp Dogwoods are starting to bloom and the Water Hickories are popping new leaves. 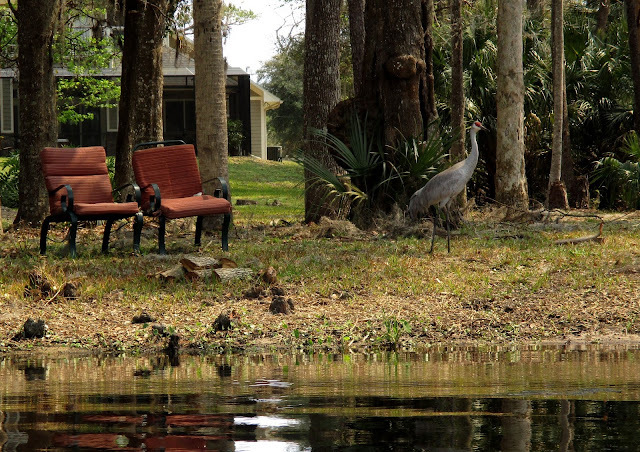 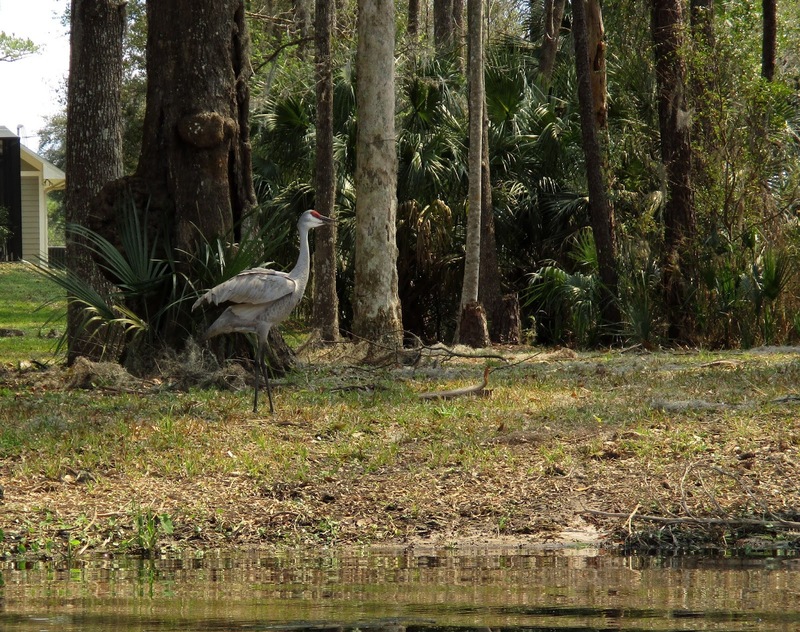 The Limpkins were calling for each other, Sandhill Cranes were out playing, Ospreys hovering overhead looking for their next fish to catch and the White Ibis were rooting around in the swamp for grubs. It was a beautiful day; sun shining on our shoulders, blue sky, a cool breeze and even though it’s only March 1st, spring is fast approaching.